Directed by Joshua Warr and starring Alyssa May Gold and Blake Merriman. The place is a remote cabin in the wilds of Alaska. As a blizzard rages outside, a lonely figure, Henry Harry, lies sleeping under a heap of blankets. Suddenly, he is awakened by the insistent knocking of an unexpected visitor—who turns out to be Rosannah DeLuce, a distraught young woman who has fled all the way from Arizona to escape her impending marriage, and who bursts into the cabin dressed in full bridal regalia. Throughout this persistent psychological drama, Rosanna and Henry discover the nature of love, and the possibility of what might be next. Featured at the New York Fringe Festival, October 13-21, 2018. After her grandfather falls ill, Deirdre comes back to the Cape to run his bar and take care of him. Her life back come, however, comes with baggage, booze, and bad weather. And she may still be in love with her ex, Finn. With a band of unique characters all stuck in a Cape Cod small town bar, reality and love unravel their lives and begs the questions - can they step beyond their current lives toward greater happiness? 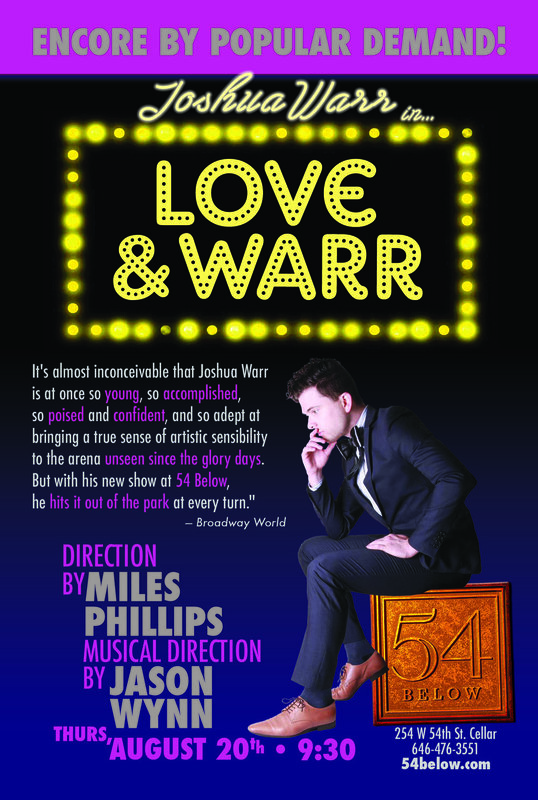 Whether on stage or TV, Joshua Warr sure knows how to make an impression. In the New York nightclub scene, the MAC Awards nominee is known for his emotional renditions of classics, which he makes sure to personalize so that they fit perfectly into the stories he’s telling. Onscreen, in shows like The Americans and the vastly underrated Hunting Season he makes acting seem effortless, and given his choice of projects one would expect him to be an intense young man with a slightly dark output. Instead, he’s an eloquent artist who isn’t only excited to talk about his work, but he also genuinely seems interested in listening to what you have to say. No wonder audiences keep coming back to see his shows!